I put the finishing touches on the Paperback multiplayer update a couple weeks ago, and it’s live on the Google Play store and the Apple App Store. It’s a fun word/card game designed by Tim Fowers, and I suggest you go spend the $4 and play it! TrackerBox will be getting its first new features in quite a while, tomorrow (assuming all goes well). The first one isn’t all that exciting, but you’ll be able to print your data and your charts. The second feature is one I’m much more excited about. Filter Sets. You’ll be able to save frequently used filter settings, and restore them by selecting them from a list. If you write in series, and you only want to see how that series is doing, you can go into the titles, select the titles from the series, type in the name of the series at the top of the filter panel, and then click the save button. The next time you select the series name from the box at the top, it will restore that set of titles. The Kickstarter for the Mac version of TrackerBox will be starting within the next two weeks. I just need to make a video. A lot of things happened over the summer that forced me to delay the start of the Kickstarter (one of which was the need to finish up Paperback). StoryBox will be getting an update, but I think the next update will be a very large update. It will be at least 2.1, if not 2.5 or 3.0. I haven’t decided yet, but I’ve got a list of seventeen new features I want to add. I don’t know when it will happen, other than it will happen after Mac TrackerBox, assuming that gets funded. If the Kickstarter fails, it’s possible this could get pushed up, but I might have to find a different bit of work to pay the bills. Still, I wanted to let you all know that I haven’t abandoned it. It will get love, too. StoryBox 2 is done. Finally. Eight months of tweaking and rearranging and wholesale changing have made StoryBox into a more flexible piece of writing software than it has ever been. And if you’ve used it, you know that it was already flexible. My goal with StoryBox 2 was to clean up as many of the dusty corners as I could, and to do a better job at having things organized while still available to use everywhere, including in full screen mode. With that in mind, I created the MenuBar – a strip along the bottom that takes up no more room on the screen than the combination of the Menu and StatusBar that previously existed, but gives you more functionality, including a Countdown Timer, 6 different word count meters, the clock and session timers, and, of course, the menu. The menu, instead of being text, is now a set of six icons. It takes a moment to get used to it, but once you do, I think you’ll like the fact that they are out of your line of sight. The next big thing is the new export dialog. It allows you to save Export Profiles for each story. The Export Profiles save every setting, as well as a list of the selected files. I use this to make separate eBook exports for each retailer like Amazon and Barnes & Noble. This way, I can customize the front and back matter for the retailers, and if I need to make changes, I don’t have to worry about making mistakes when selecting which files to export. The profile saves those selections. The third big change is the Full Screen mode. In Full Screen, you now have access to every tool in StoryBox. You can do your outlines in full screen, you can do your Storyboarding in full screen, and you can have multiple documents visible side by side in full screen. You can set a different theme for full screen than you have in Windowed mode, and you can even set up the MenuBar differently. In the coming months, I’m going to back off StoryBox development, to a degree. I will fix bugs over the summer while I concentrate on getting a Mac version of TrackerBox out, as well as the four books I have currently finished writing, but haven’t published. After that, releases will focus on one part of StoryBox at a time, the first of which will be search features. There are 114 changes from 1.5 to 2.0, many of them minor, but far more than I could talk about in a blog post. Check them out and download StoryBox 2 from StoryBoxSoftware.com. What’s Up With StoryBox 2 and Fragments? It’s May 31st. Yes. I was planning to release StoryBox 2 today. I planned to release Fragments today, too. Neither of them are happening. StoryBox 2 will go out of beta sometime next week. I had to do some updates to TrackerBox that were not planned due to Barnes & Nobles change over from PubIt to NOOK Press. Now, the only thing holding StoryBox 2 up is fixing up the help file. I’ve already done a bit of work on it, but it needs more, especially with all the additions and changes, including changes that occurred after version 1.0 that never got included in the help. I will work on that this weekend. Fragments has a different story. I started the formatting (which occurs after editing) last Friday and quickly discovered there were things I didn’t like. These things were there despite having been read by four other people, not including myself. The book was written last summer, and I’ve written a lot since then, so perhaps it’s just me growing as a writer, but I couldn’t let the book go out with things I hated in it. So I’m running through it one more time in an attempt to clean out those things that just bug the crap out of me. I’m sure, if I read it again six months from now, there will be more writing in it that I don’t like, but I feel I owe it to you to at least like everything in it at the time I release it. So you can probably add two or three weeks to the release date for Fragments. I’m going through it as fast as I can, but I’m not rushing it, and it’s a long book. I think I’ve said it before, but it’s nearly 30% longer than Shattered. Reworked is coming along, but it’s probably going to be another 20-30% longer than Fragments. And, though I had planned it as a trilogy (planned is a loose term, here – imagined is probably better), I have an inkling there will be a fourth book. This also means Zombies Bought the Farm will be delayed, but since it’s far shorter than Fragments, I’m hoping it won’t be much more than a week later than my original plan. 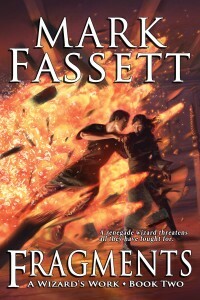 Today (May 31, 2013) is the last intentional day to get Shattered for $2.99. It’s $2.99 at pretty much all of the retailers listed on the Shattered page. I don’t usually talk about my software here (anymore), but I had to post this because some of you might think it’s cool. 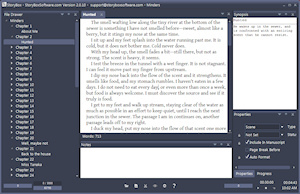 Between now and the end of NaNoWriMo, my writing software StoryBox is $20 cheaper than normal. Only $14.95!!! If you don’t know what NaNoWriMo is, it’s National Novel Writing Month, where people try to write a novel in 30 days. It starts Nov 1, and ends Nov 30.